Looking for a reliable and fastest provider 600 grade Inconel bars & rods? Aspirinox Alloys Inc is here to help you. We offer Inconel 600 Bars, Rods & Wires that has high-quality mechanical properties and also provides good resistance to oxidation. These Alloy bars & rods find a broad spectrum of application in furnace muffles, electronic components, heat treating equipment, steam generator tubing, heat exchangers, etc. 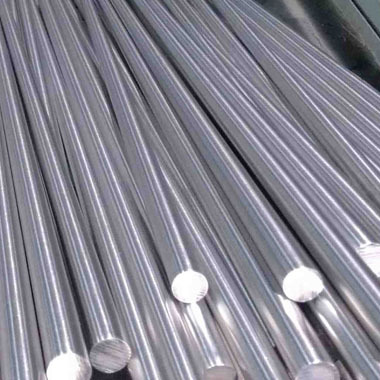 We are also providing these bars in equivalent grades such as UNS N06600 Bars and DIN 2.4816 Rods consisting higher amount of nickel-chromium alloy content used for applications that require corrosion and high-temperature resistance. Our Inconel 600 Wires is containing standard engineering material that has great resistance to heat and corrosion and also utilized in Gasoline preservative manufacture, Phenol condensers, Soap production, Titanium dioxide, Vegetable vessels, fatty acid vessels, and so on. Our offered range of Inconel 600 Round Bars is beneficial in the aerospace, chemical, heat conducting, pulp industries, paper industries and so on. We have a largest Inconel 600 Bars ready stock comes in flat, rectangular, square, and hollow etc. with beveled, annealed surface finish. Call us now and request a free quote! Specifications for Inconel 600 Bars, Rods & Wires. If any specification is not mentioned here, please use the contact button for quick quote. Request the latest Inconel 600 Bars, Rods & Wires List. Please click on the request a quote button or click here to request the updated price list and ready stock information along with your requirement. Aspirinox Alloys INC maintains a stock of all standard items and can export them at best price for Inconel 600 Bars, Rods & Wires.